Property, business and planning firm Berrys is extending its range of services with the appointment of a new highways engineer at the Shrewsbury office. Richard Harman joins as a principal highways engineer, a new position at Berrys established to meet the increasing demand for civil engineering services. 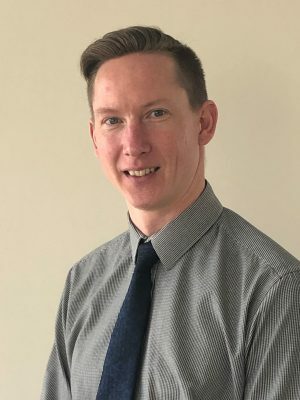 He will be working closely with the planning team providing a broad range of services including site access assessments and design, road layout and pavement design, junction design, sustainable drainage, transport statements, advice and design to support development and planning related proposals. Richard is an incorporated highway engineer with over 16 years’ experience working with both private consultants and at local government within the highways sector. Prior to joining Berrys he was a senior engineer at WSP where he led the design of varied portfolio of high-profile highway improvement, road safety and public realm schemes. He recently led the design team responsible for delivering the Shrewsbury Integrated Transport Package public realm enhancement schemes, located in the historic core of the town centre. “We are delighted to welcome Richard to the team,” said Stuart Thomas, Berrys’ head of planning. “The highways engineer position is a new one at Berrys enabling us to broaden the range of services we can offer our clients. “We already have town planners, architectural designers and building surveyors in-house and the appointment of a highways engineer completes the planning circle,” he added. Richard lives in Shrewsbury and in his spare time runs an amateur motor racing team and enjoys competing with his vintage Porsche 944 Turbo in circuit race events in the UK and Europe with the Classic Sports Car Club.